Our Orthopaedic, Sports Medicine, and Rehabilitation Programs help patients achieve the highest possible level of physical, functional, and cognitive independence after an injury or illness. 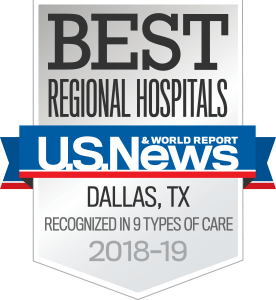 We offer comprehensive care by a team of experts at UT Southwestern Medical Center at Las Colinas. We also provide nonsurgical treatment options for patients suffering from joint, back, and neck pain, including conditions such as arthritis, acute musculoskeletal injuries, degenerative disc disease, and herniated discs. Our goal is to work with patients to alleviate pain and improve quality of life​. Our cutting edge non-surgical and surgical treatments​ help patients - from weekend warriors to professional athletes - return to their physical and athletic activities. We believe all patients and injuries are different, and we work with each patient to develop uniquely suited and individualized treatment plans. Our physicians also coordinate the care of patients with complex disorders, assuring that all aspects of their health receive the proper care.